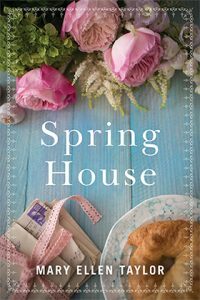 SPRING HOUSE DEBUTS JULY 9TH! The lives of two women, generations apart, converge in this novel of love, mystery, memories, and secrets. a few months from now we’ll all, I hope, be there together getting reacquainted with the folks we met in Winter Cottage. That includes historian Megan Buchanan, who you may recall brought a pie to Winter House as part of her bid to oversee renovations there. Now pregnant and alone, Megan is nonetheless forging ahead with a dream project, restoring the landmark hunting lodge her great-great-grandfather built. However, it’s Spring House, the caretaker’s cottage on the grounds that is most intriguing for her. Find out why in July when that and other buried secrets emerge from the past.